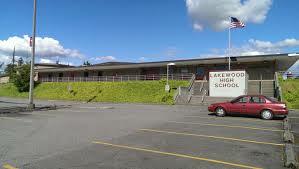 Last week, Lakewood High School noticed bedbugs in its communal areas and classrooms. Parents received an email from the school superintendent on October 15th about a bedbug that was found in an item belonging to a student on October 13th. The student and their belongings were placed in isolation, as it is believed that the bugs traveled to school with the student. A dog handler with their dog trained to sniff out bed bugs was brought into the school the next day to determine the areas that the bedbugs might be dwelling. The areas determined to have the bedbugs were sealed off and then treated. A professional pest control company was brought in to eradicate them, and school officials reported that a non-chemical process was used to get rid of them. This non-chemical process utilized heat treatments that took place after school hours to kill the bed bugs. After the treatments, the bed bug sniffing dog was brought back to the school and then detected no live bugs. The schools superintendent urges parents to come forward if they find any of these bed bugs at their homes. The privacy of the families will be completely respected, school officials just want to catch the problem before it gets out of hand and have it under control quickly. This was the case with the student in Lakewood, and the problem was quickly solved. No other Lakewood school buildings have found bed bugs, but other districts have had similar problems. Four schools in Parma, as well as, one school in Bay Village have found bed bugs. Bedbugs may be identified as small brownish oval shaped insects whose bites cause itchy welts that are similar to mosquitoes. With no hind wings, the front wings are not functional and these bugs have segmented abdomens that have microscopic hairs that give a banded appearance. Also like a mosquito, bed bugs feed on human and mammal blood. Nymphs that are newly hatched are translucent and become browner as they get older. The nymphs become bright red with blood after they have fed on their host, which turns to brown as a few hours pass, and then they return to translucent. Feeding every 5 to 7 days, bed bugs leave their shelter only to feed when starving and are largely nocturnal. According to the CDC, bedbugs are not known to transmit diseases, but they are absolutely considered to be a public nuisance, and the bites may become infected when scratched. Aside from beds, these bugs can be found in vehicles, luggage, and furniture. The terminal death point for bed bugs is 113 degrees Fahrenheit, with just 7 minutes of this temperature killing all life stages. Lakewood’s school district provides more bedbug information on their website and is sending two representatives to the Bed Bug Task Force Conference put together by Cuyahoga County Board of Health. This will ensure that school officials will be up to date about the latest protocols and news related to these pests.